Children face the risk of abuse, abandonment and exploitation as more Venezuelans leave for neighboring countries. 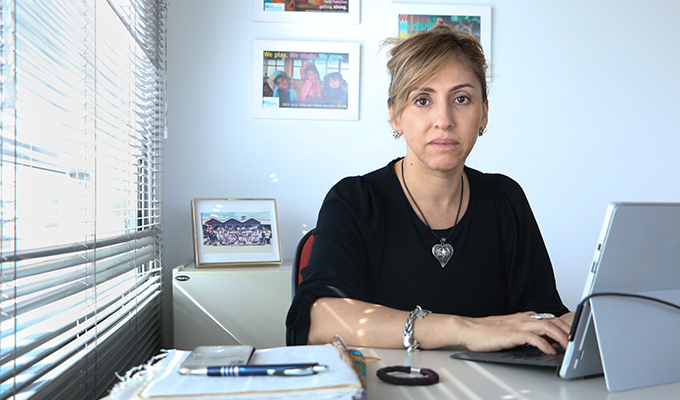 SOS Children’s Villages has started emergency programs in two countries directly affected by the situation in Venezuela, but more help is needed to address the needs of children, says Fabiola Flores, International Director of the Latin American and Caribbean Region of SOS Children’s Villages. An estimated 2.3 million people have left Venezuela over the past three years. But in a region where cross-border movement has historically been common, the unofficial estimates are far higher. 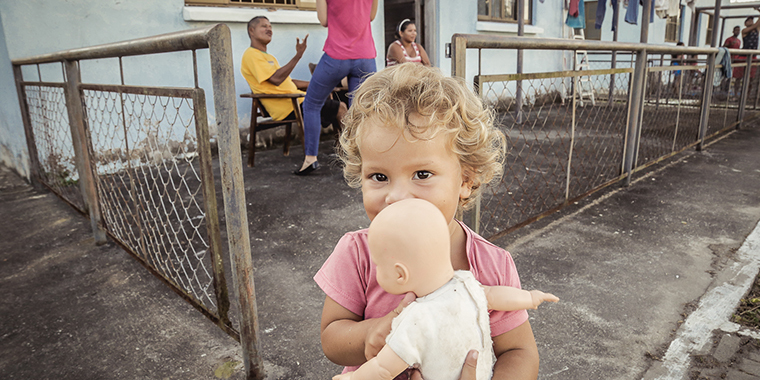 SOS Children’s Villages has launched emergency programs in Brazil and Colombia to help displaced Venezuelan children and families. Colombia is home to more than 1 million Venezuelans, while upwards of 70,000 people have crossed into Brazil’s northern Roraima state over the past year. Ms Flores talks about the impact of the situation in the region and points to risks for children. What are the main risks to children in this situation? Many families are now trapped at the border because neighbouring countries are no longer allowing people to cross. There are large numbers of people living in unhealthy and crowded living conditions. In these situations, children are at risk of sexual, physical and psychological abuse. They also are at risk of being exploited and forced in labor. Children have dropped out of school or have no access to education and, if this goes on long enough, they may not return to their studies. Another major concern we have is that parents are leaving their children behind – sometimes abandoned, sometimes left with relatives – so they can find ways to support themselves in other countries. Sometimes the people who are taking care of the children are themselves no longer able to support them. Children may leave to try to find their parents, and they are stuck at the border or unable to find their parents. They are in a very difficult situation and exposed to the risks I mentioned above as well as to the psychological consequences of separation. The children who are left behind or move to another country are also at a risk of losing their identity and their sense of belonging.. The situation is desperate. People do not have enough food for their families. Some have left everything they had because the situation became unbearable. Are the host countries equipped for this kind of emergency? With the increase of people crossing borders, the access to basic serves is one of the consequences. All of these countries have limited resources and were are already seeing problems in some host communities with xenophobia. Some of these countries do not recognise the severity of the situation and they are not providing emergency services. But with the increase of people crossing borders, the access to basic serves increasingly will be affected. Are host communities making provisions so these children can attend school? Most education systems in Latin American countries ensure access to primary education. So in general, these children should not have problems getting into school. But in reality, there are also problems because in many cases the schools require that children have a certificate from their previous school. If you don’t have the certificate or a birth certificate, some schools will not accept the children. Others will make an exception, but my guess is that in many cases parents will have trouble getting their children into schools. What should be the priorities when it comes to helping children in the host countries? Most of the existing relief programs are providing some humanitarian assistance – food, health and shelter. But there are not enough mental health programs to care for the children in these situations. They are exposed to traumatic events and need mental health support. These problems are harder to detect and require specialised care because the impact of this kind of situation is long-term. In many refugee and displacement emergencies like this, we tend to forget the mental health and psychological consequences. We must address the immediate needs, like food, health care and shelter, but we also must be prepared to address the mental health needs.